I have an Instagram page (AJDenise) and I stumbled across the IG page @fatsmackbodywraps that advertised It Works body wraps. I thought hmm, this HAS to be a SCAM!! I looked through the photos and testimonials and then considered the possibility that there could be some truth to the results. I wanted to at least try but I couldn't afford it and was planning to purchase it when I got my next pay check. Low and behold, a coworker told me about a sell where the wraps were $10 EACH instead of $35. I purchased three and talk about saving!! I'm going to buy myself a jump rope and for the next three weeks I'm going to jump rope for at least 30 minutes a day and wrap myself once a week. I read a few forums about the It Works body wraps and a few people said that you only lose water weight. Others said the results aren't permanent. I looked over the website and I came to the common sense conclusion that results will be permanent IF you change your eating habits and begin an exercise regimen. 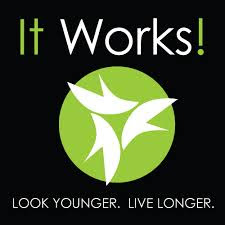 The body wraps seem to work but they are a quick fix that lasts for maybe a week. Wrapping yourself should be a jumpstart to a healthier lifestyle and not a one time thing. You can't wrap yourself and go back to eating Burger King and every other unhealthy food there is. The results will only last as long as you work for them to last. I am going to wrap myself right before bed tonight. We'll see how that goes, because I'm supposed to drink 2-3 bottles of water while wearing the wrap (to flush out toxins). In the morning I'm going to jump rope for 30 minutes. I'll update each week on my results. I want to post pictures but...yea, lol. We'll see. If I do it will be after the first week. I will post before and after pics. I know my body won't be 'transformed', but I'm hoping to see some decent results! Hello everyone!! I hope all of my readers are well today. So, I finally used my body wraps. Disclaimer: I am in no way afiliated with It Works. I am not a distributor of any of their products or services. I used the body wraps on my own recognizance. My results were not altered by any photo editing software. I love myself and while I'm not happy with my body (at the moment) I'm working on it. Also, feel free to comment and leave advice, but please keep any lewd/disrespectful comments to yourself. I wrapped for about 5 1/2 hours. My boyfriend wrapped me because I knew it would be a fail if I did it myself. The cream that pre-applied in the wrap smelled like Icy-Hot. The only annoying thing I experienced was that the plastic wrap kept creeping up the bottom of my stomach and kept rolling down my back. I took a nap for a couple hours or so and surprisingly it was pretty much still in tact. The wrap balled up a little inside the plastic wrap, but was easily adjusted. I drunk about 74oz of water while I was wrapped which is supposed to help flush out the toxins that the wrap is supposed to release. Overall, I was shocked at the results of the wrap. I have a lot of weight to lose and didn't that that the change would be so drastic. I have one more wrap that I will be using on Friday. After that I will be engaging in hard work and dedication at my local Planet Fitness gym to lose the 40lbs I want to lose.